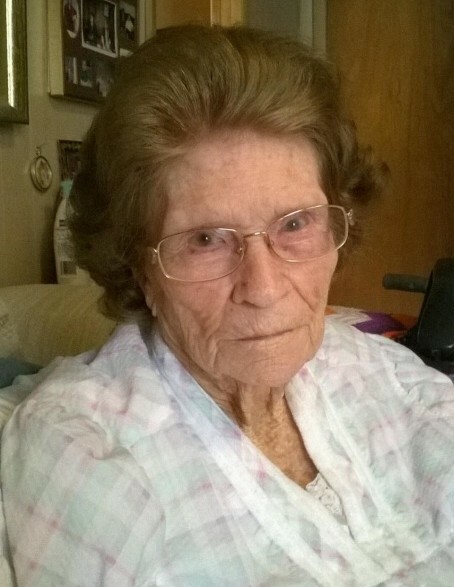 Ila Mae O’Neal Fleming, 96, of Bigelow, passed away February 4, 2019. She was born December 18, 1922 in Greenbrier to the late Ben Earnheart and Minnie Roberts Earnheart. She was preceded in death by five siblings, first husband and father of her children, Edward O’Neal, and second husband, John Fleming. Survivors include six children: Patricia Herndon of Opello, Shirley Jean Zulpo and husband James of Bigelow, Lawanda Whitt and Russel of Roland, Kathy Zini and husband Jack of Bigelow, Sybil Netherton and husband Tim of Roland and Charley O’Neal and fiancee' Dee Vinson of Roland; ten grandchildren, sixteen great-grandchildren and eight great-great-grandchildren. Visitation will begin at 1:00 PM Friday, February 8, 2019, followed by the funeral at 2:00 PM, at Smith-North Little Rock Funeral Home.